The Ballroom is the architectural centrepiece of Government House. Three Swiss crystal chandeliers hang from the centre of the room with crystal sconces decorating the walls. The balcony at the back of the room features breathtaking views of the Terrace Garden and the Juan de Fuca Strait. The Ballroom also features the stained glass Millennium Windows. Designed to commemorate the beginning of the 21st century, the windows portray a botanical theme signifying the natural beauty of British Columbia and the importance of the gardens to Government House. 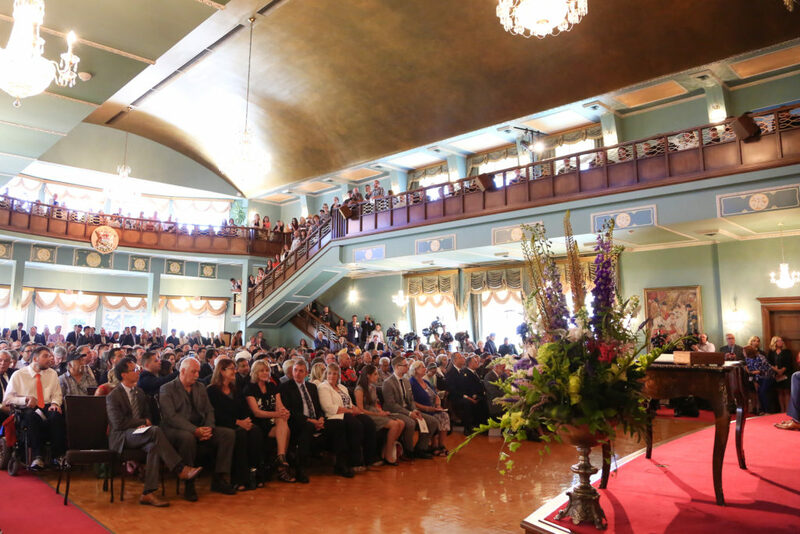 The Ballroom is used for receptions, award ceremonies, large dinners, the New Year’s Day Levée and many more of the over 150 events hosted at Government House each year. The Dining Room, panelled in fir and modelled after the original Rattenbury-Maclure design, is used to host formal luncheons and dinners. 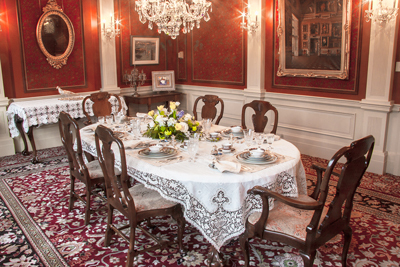 The focal point of the room is the dining room table and chairs, purchased in Scotland by former Lieutenant Governor Frank Mackenzie Ross and his wife, Mrs. Phyllis Ross. The Ross’s donated the table and chairs to the House, along with the Jacobean sideboard also found in the Dining Room. The Dining Room is used for formal dinners of up to 40 people. In greens, yellows and white, the Drawing Room is a near replica of the one in the Rattenbury-Maclure House. Surmounting the marble fireplace is a scroll bearing the Latin word “Salve,” meaning “hail” or “welcome.” The Drawing Room is used for small receptions, awards ceremonies and receiving lines. 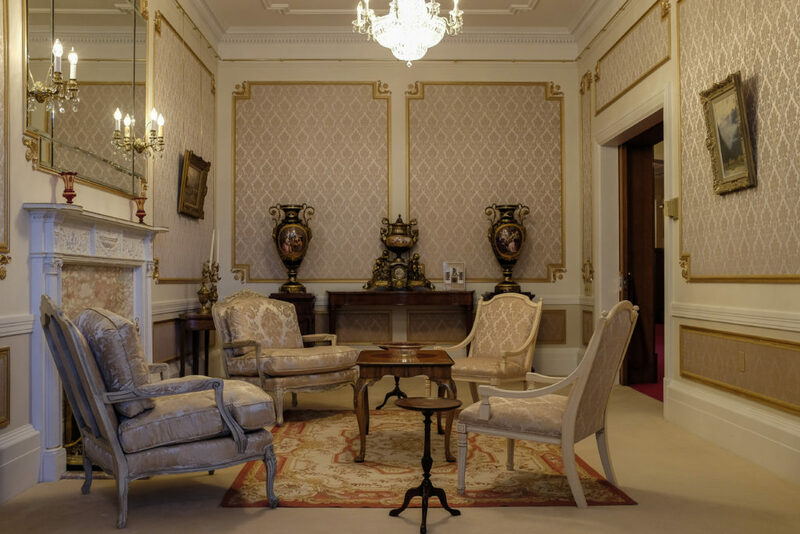 The Drawing Room is a close replica of the one in the Rattenbuty-Maclure designed House. The Maclure Room is located on the lower floor of Government House and named after Samuel Maclure, one of the architects of the previous Government House. 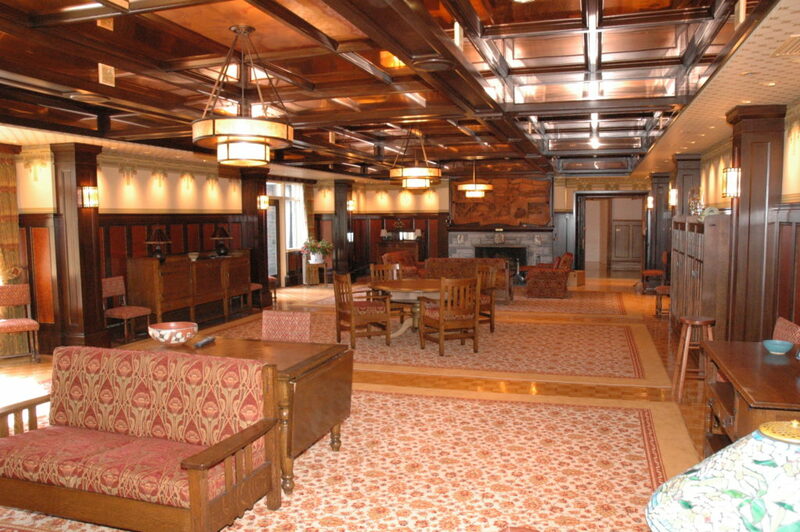 The room is decorated in Arts and Crafts style, a design movement that focused on handcrafted furniture. The room also features a cozy fireplace and copper-foil ceiling. The Maclure Room features furniture from the Arts and Crafts period in the late 19th and early 20th century. Also known as the Little Drawing Room, this elegant room features many furnishings of French origin. The Sevres clock and vases are the most noticeable pieces in the room. Former Lieutenant Governor Frank Mackenzie Ross admired them when he first saw them as a boy growing up in Scotland and took great joy in purchasing them for the House in 1958. 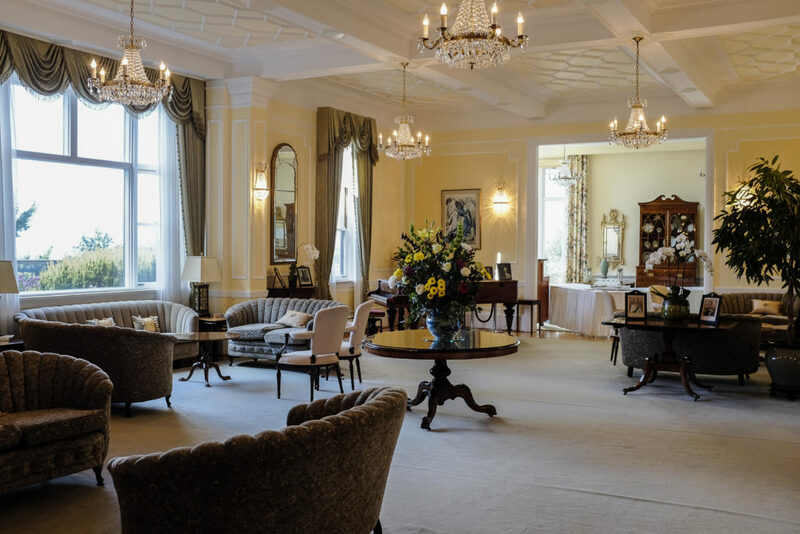 The French Drawing Room is used for small meetings and teas. 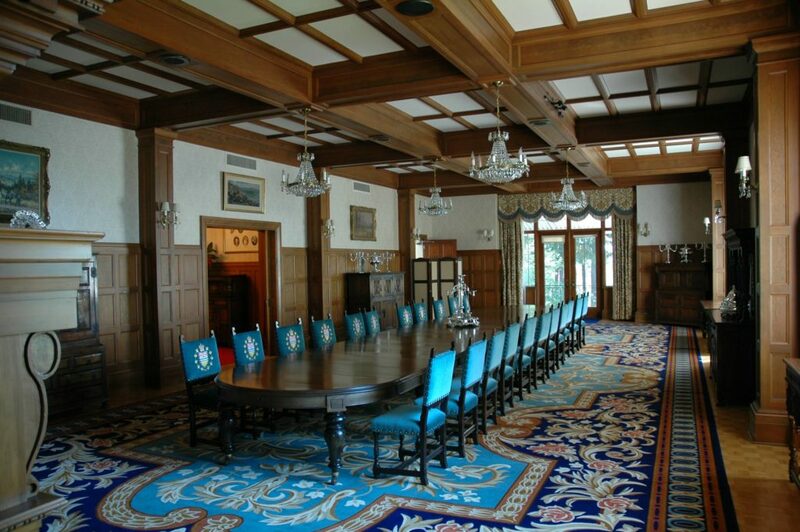 The Rattenbury Room is the Lieutenant Governor’s personal dining room. More intimate than the main Dining Room, the Rattenbury Room is used to host small luncheons and dinners. The centrepiece of the room is the personal dining room set of Francis Rattenbury, architect of the 1903 Government House. The Lieutenant Governor often hosts ambassadors and other dignitaries for lunch in the Rattenbury Room.